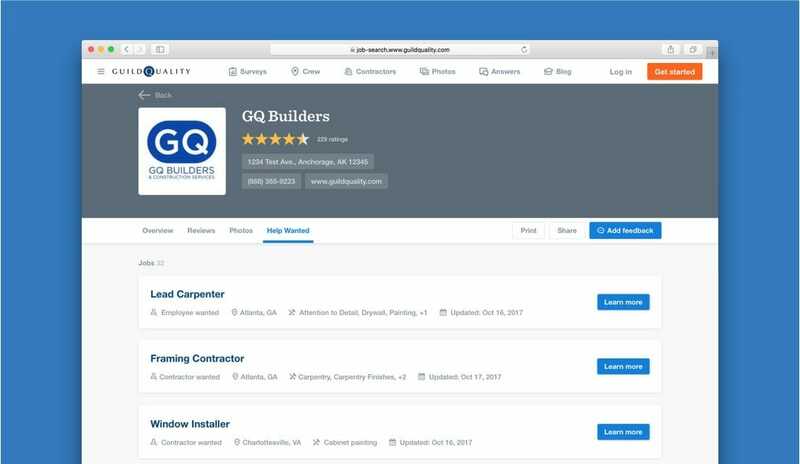 The industry’s best builders, remodelers, and contractors are using the GuildQuality Job Board to find and hire great talent. And you’re an admin on your account? Log in now to post your jobs! Not sure what permissions you have? Fill out the form and we’ll help you out! Not yet a GuildQuality member? Fill out the form and we’ll get you free access to this valuable resource.